The only Daycare Centre to offer indoor and outdoor play areas. We provide a fun, safe stimulating environment for your four legged friend which is constantly supervised by only qualified professionals. 4000 sq ft play area to really stretch legs and imaginations. 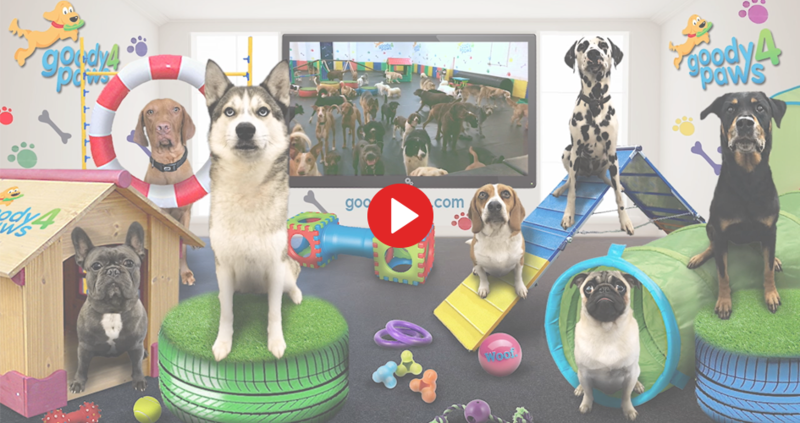 We are the only Daycare Centre in the U.K. to have FUNgility the unique play system from the U.S.A. which is created just for dogs. Your dog deserves so much more than childrens playground toys. Safe rubber flooring and walls which make play safe for the joints of both puppies and seniors. NO slippy painted surfaces. It is our aim to provide a second home for your dog which is a welcoming place where they can feel safe and have fun in your absence. No need to ever feel guilty about leaving your pet. Local Authority Licenced, with special provision to care for puppies from 12 weeks of age. Hope to meet you and your best friend soon. Thank you, I have had a great time with Alfie, you do a great job, you are lovely people and Alfies future is secure because of you.